Gym Equipment for Inner-city Youth | Kind.Fund: Crowdfunding and fundraising for personal causes and charities. The Cardinal Shehan Center is a non-profit, youth center in Bridgeport, CT with the mission of enriching the lives of youth through education and physical activities. 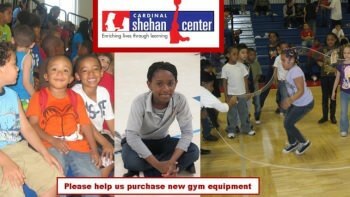 In order to properly teach children physical activities the Cardinal Shehan Center needs gym equipment that is in good condition. Between our After School & Saturday Program, our physical education classes, our multiple basketball leagues and our Summer Day Camp, our gym equipment is used by over 4000 children throughout the year so our gym equipment is pushed to its limits. Basketballs lose their bounce, jump ropes begin to fray, and hula hoops bend out of shape but the interest in using the equipment never goes away. We are raising money for three main reasons. 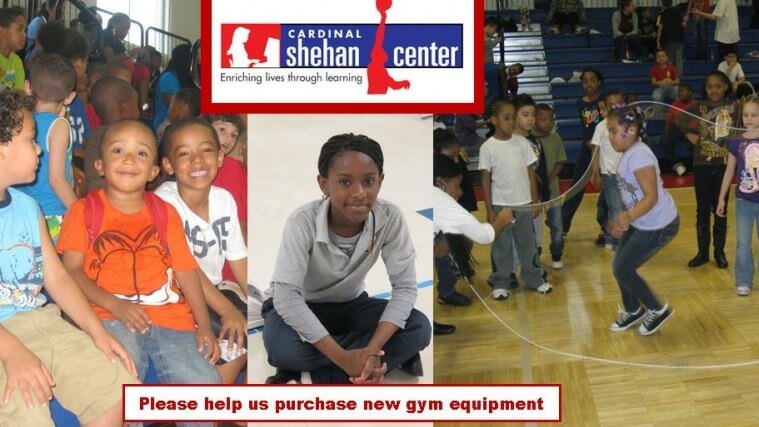 First, providing the right type of gym equipment that is in proper working condition will help the youth of the Cardinal Shehan Center avoid injury and properly develop their skills. Second, having a variety of gym equipment means the Cardinal Shehan Center can expose children to many different kinds of physical activities. Third, having an abundance of gym equipment available means the Cardinal Shehan Center can offer many young people the opportunity to be physically active. Thank you for your donation. It will not only be appreciated by the Cardinal Shehan Center physical education instructors and program staff but it will have a direct positive impact on inner-city youth who participate in programs at the Cardinal Shehan Center.